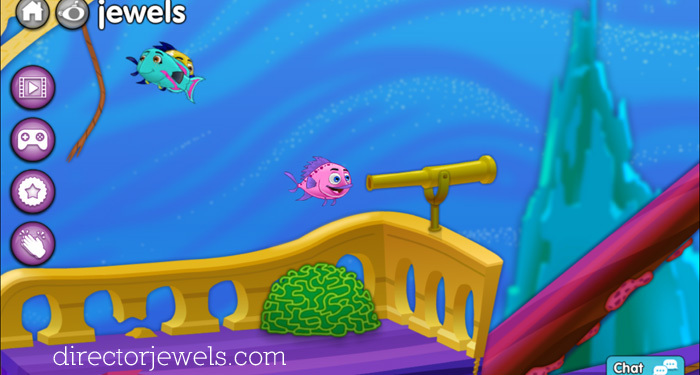 Disclosure: This post is part of a sponsored campaign for Captain McFinn’s Swim & Play App. I received compensation for my participation, but my review and opinions are my own. 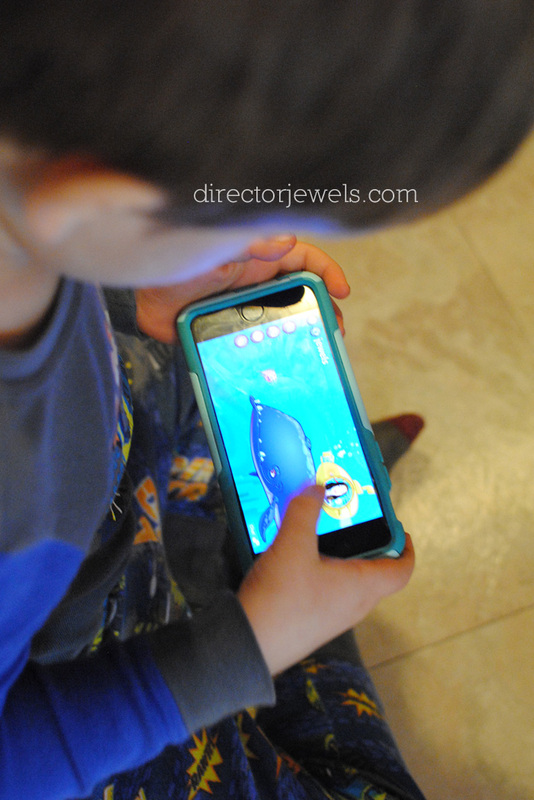 In our house, you can never go wrong if there's a sea creature involved, so when I was given the chance to take a peek at Captain McFinn's Swim & Play app, I was all for it. 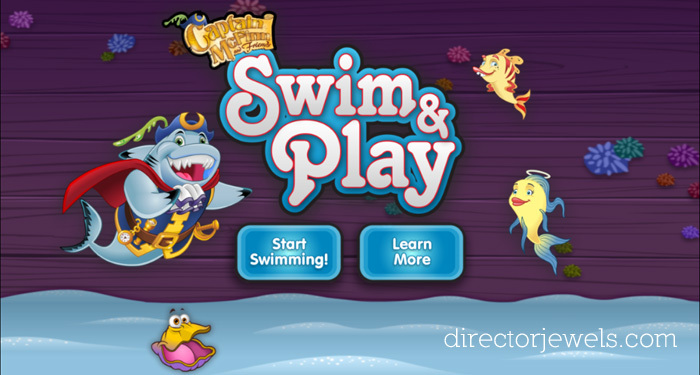 Captain McFinn's Swim & Play features an interactive underwater world that's filled with educational games and activities. My son is never one to shy away from testing an app, so he was excited to get set up and check it out! Captain McFinn's is unique because the activities are all led by a LIVE instructor! I have to admit that I found this a little strange at first - but after we tried it out, the idea grew on me. Basically, the instructor watches the interaction of everyone who is currently playing the app and is able to compliment them on the games they play or the art they create, and lead them to additional fun activities in the app that day! It's pretty neat! While kids can see and hear the instructor, the instructors are not able to see the kids who are playing - they can only see their activities through the fish characters they use. If you don't want your child's name revealed, just pick a nickname to use when signing on! 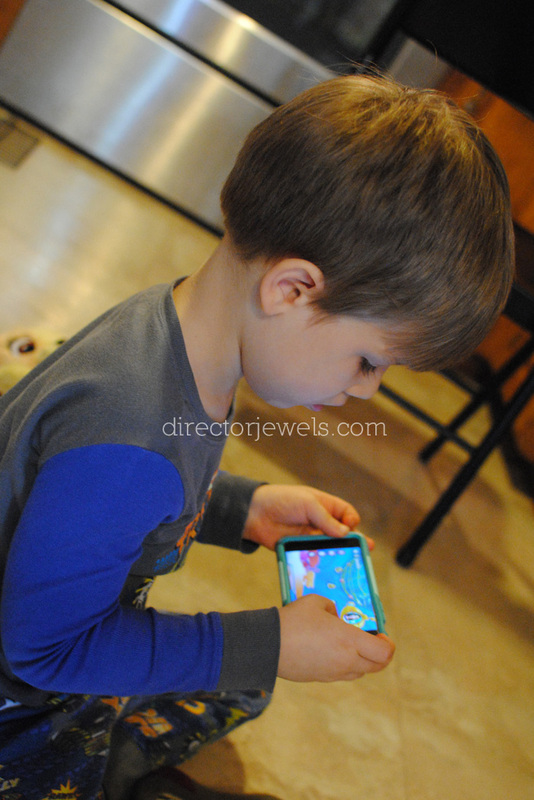 The app is designed to feature prosocial topics like sharing, playing together, being respectful, and more, for 3-5 year olds. My kids both fit that age range now, so I think we will enjoy this app for quite some time! 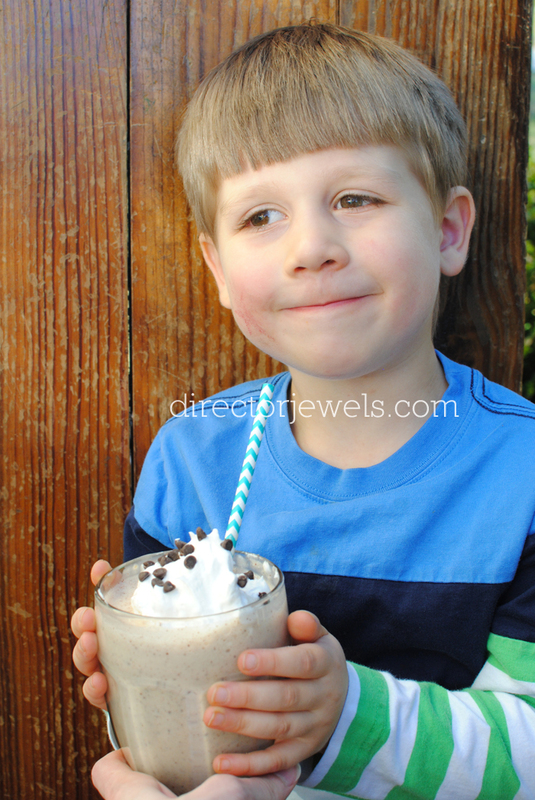 My little guy will be five years old in a few months. 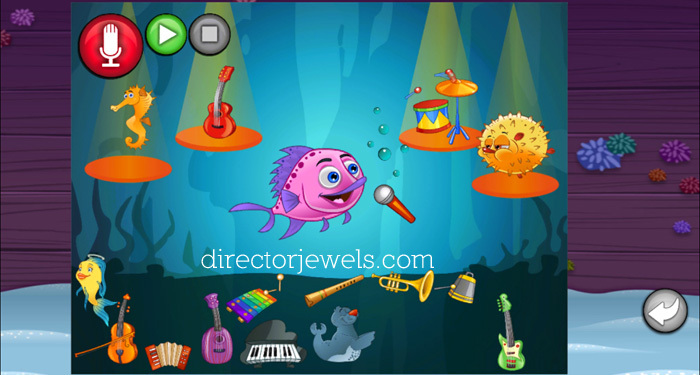 He has enjoyed letting the fish play with musical instruments, mermaids, and more - and one of his favorite parts is the daily video featuring one of the lessons for preschoolers. 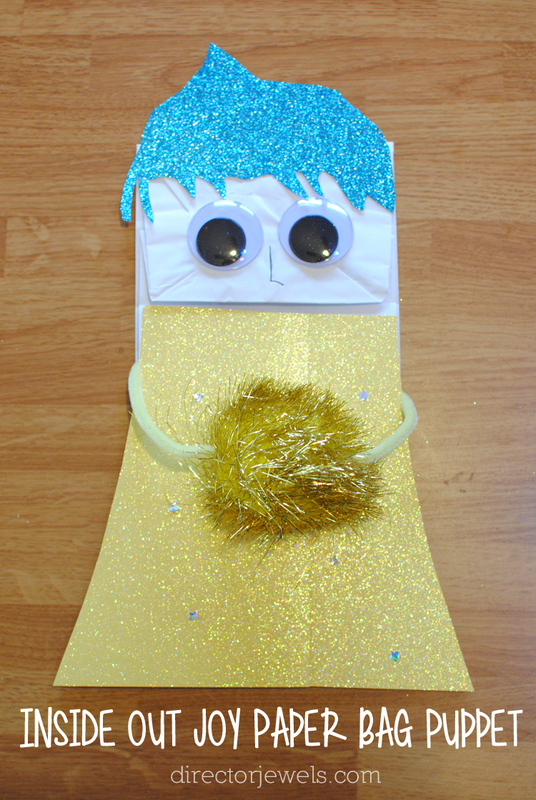 This week, he learned about empathy! There's an art studio that inspires creativity. Both of my kids love to create masterpieces here! Captain McFinn’s Swim & Play app is also featured in the nabi Elev-8, Fuhu’s most advanced and powerful kid-focused tablet to date. Fuhu, Inc., is the creator of the award-winning nabi® tablet and the foremost innovator in high technology solutions for families. The underwater world is fun to explore whether or not there is an instructor watching or if you're doing a specific activity or not. 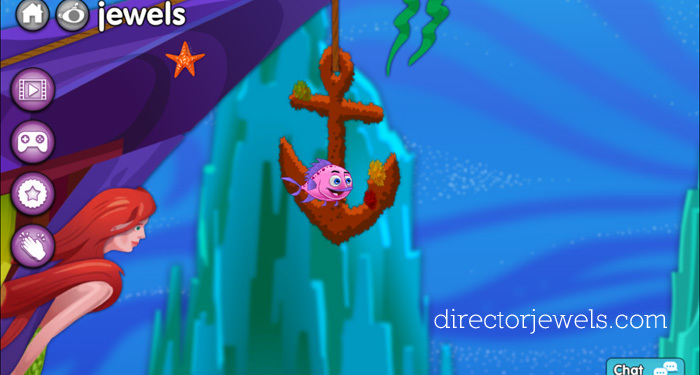 The ocean is filled with interesting things every time you log on - sunken pirate ships and mermaids, interactions with other creatures, and much more! I have had to give my son time limits each time he has played this app and he's never been thrilled about turning it off when the time ran out. The app is just $2.99 and is available through the iTunes Store or Google Play Store. What's your favorite sea creature? You may just find it in this super fun app! 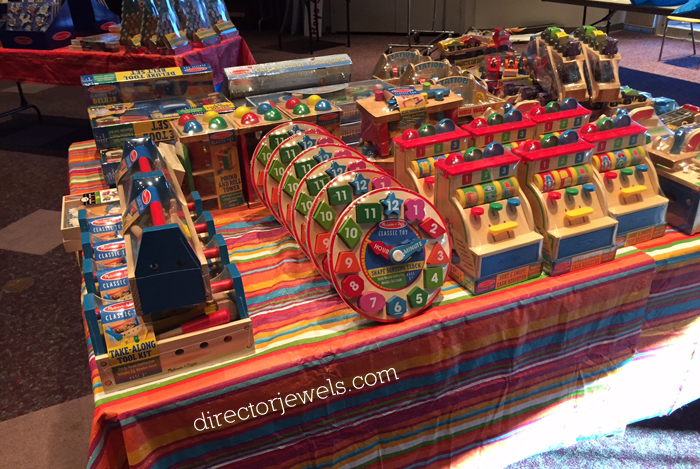 JBF Lees Summit Holiday Toy Sale - now through Sunday! 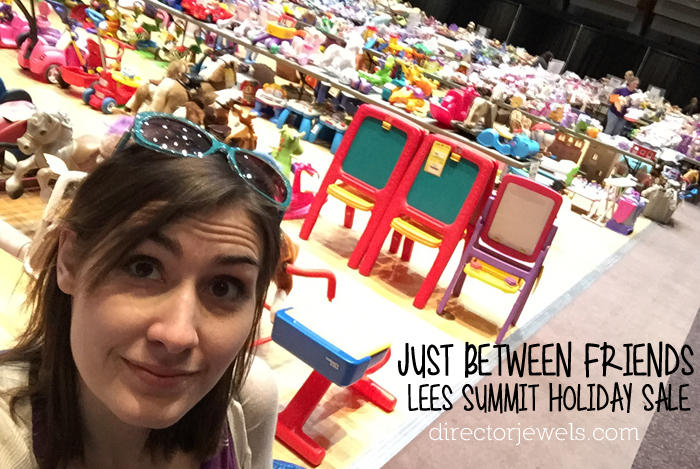 Just Between Friends (or JBF) of Lees Summit is having their 4th annual Holiday Toy Sale this weekend. Believe it or not, Christmas is just about five weeks away (somebody hold me). I try not to go overboard on Christmas gifts, but I would be lying if I said I didn't enjoy finding some things I know my kids will enjoy finding on Christmas morning. 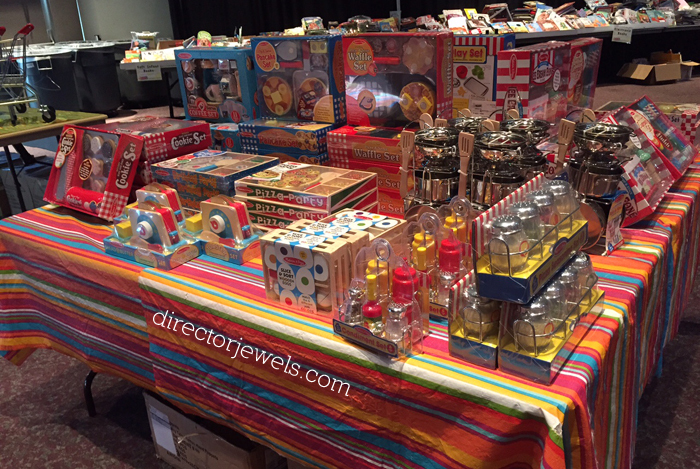 At JBF, you'll find toys of every shape and size, for every age, and in just about every color or style. Kids don't mind if toys have been played with before - so why not save some money and snag your holiday gifts for much, much less this year? Addie loves baby dolls right now and while she definitely does not need any more dolls, I still had to take a peek to see if there were any fun accessories she might enjoy. 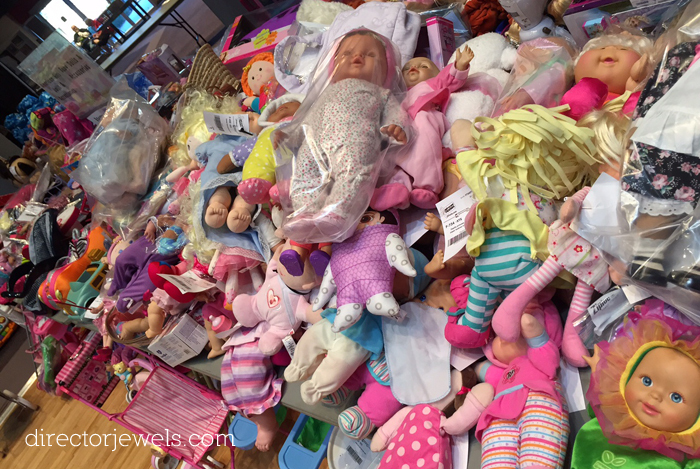 The selection was great - and I even spotted quite a few American Girl items up for sale. 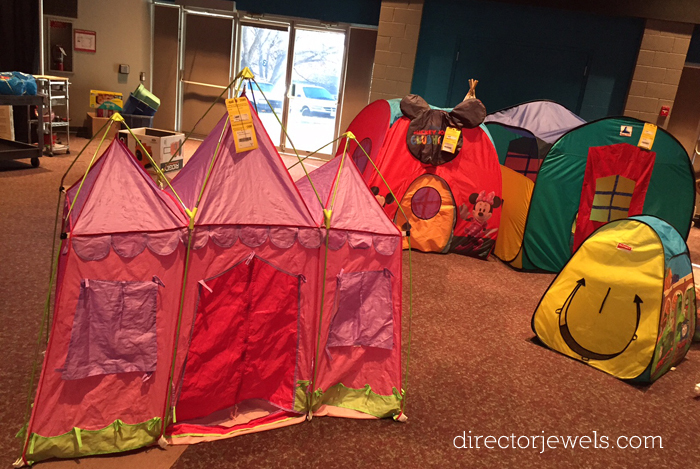 This sale features not just toys, but baby gear (lots of strollers) and winter clothing for kids, too. I saw several winter coats and snow pants up for grabs. My favorite section is usually the children's books, but I had to refrain this time because I already have some books on hand for Christmas and our home library is quite extensive. 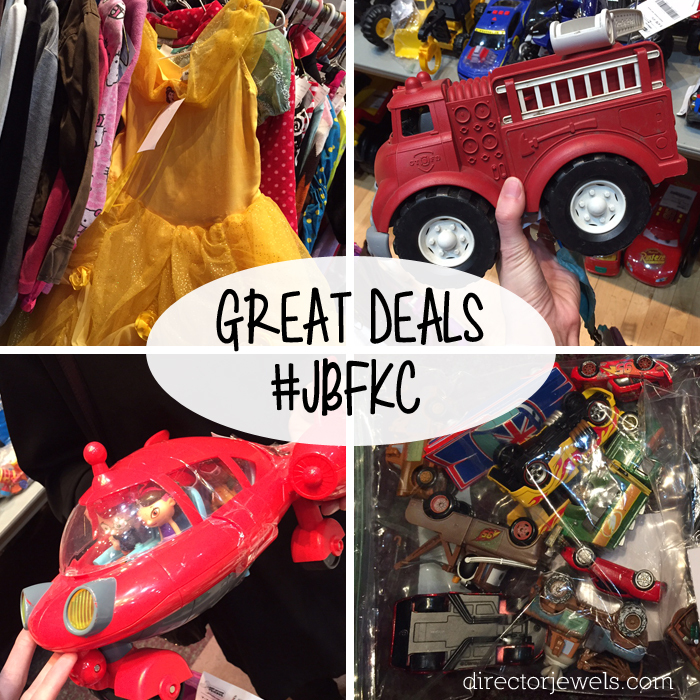 From princess costumes to hard to find character toys with everything in between, JBF's Holiday Sale is a one stop shop this holiday season. If you can't find what you need in the gently used toy section, you won't believe all the amazing brand new goodies from Melissa & Doug! I love the classic style of these toys... We've had a lot of them over the years and they have always been popular with the kids and their friends. Ready to go shopping? Here's how! FREE Pictures with Santa on Saturday from 1-3pm! Sunday, Nov 22nd 10am-4pm ~ 50% off SALE! those with a star on their tag remain full price. We were very excited this year at Halloween to discover that there were several candy options that fit our food allergy needs. The kids were able to have a few snacks from YumEarth Organics in their candy buckets and they were thrilled! I'm keeping these in mind for Christmas stocking stuffers, too...it's always fun to stick a sweet treat in those, as well. I'm excited to show you these products from YumEarth Organics. 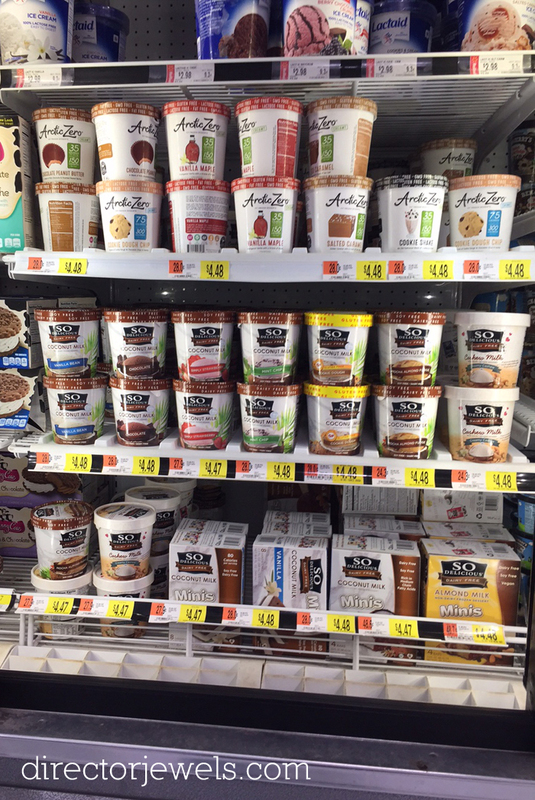 They have all natural snacks that you can actually be proud to give your child. This Christmas, let's have a mom conspiracy and give our kids snacks that are actually good for them! Yum Earth offers gummy bears, fruit snacks, organic pops and sour beans, in a variety of flavors. The founders of YumEarth are Sergio and Rob - just two dads with young children that wanted to be able to give them a diet rich and healthy food for a snack that did not have high fructose corn syrup and artificial dyes. They believe that the YumEarth candies taste better because they choose to use real fruit extracts and only plant friendly ingredients in them. 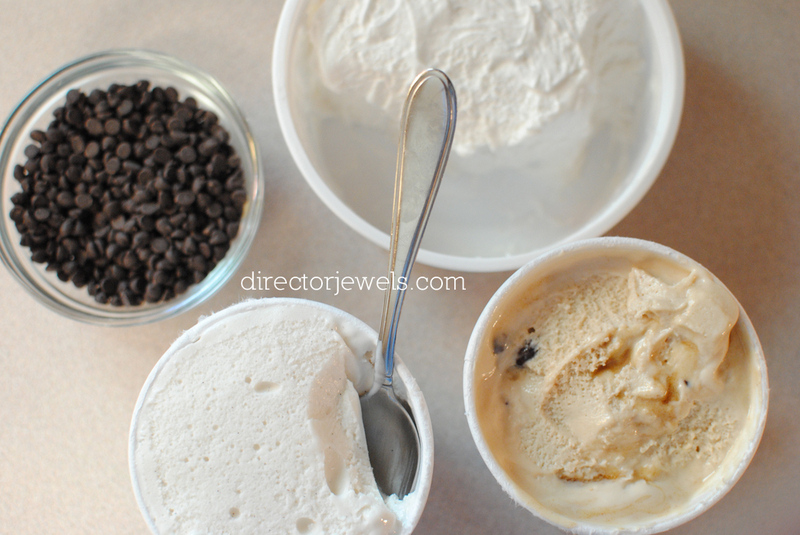 They even handcraft all of their flavors so that they can be sure that they are exceptionally delicious. 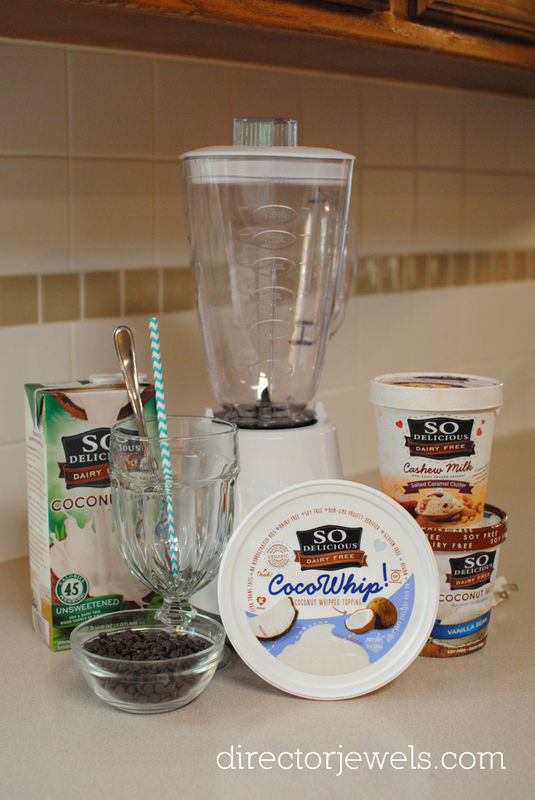 With the allergies in our family (no gluten/wheat/oats, dairy, or egg here), we are thrilled to have an option for an occasional snack that is all-natural. Visit YumEarth's Website here to order. Prize: One reader will receive YumEarth Christmas Organic Lollipops & Christmas Gummy Bears Prize Pack. Disclosure: The participating bloggers did not receive any compensation in exchange for promoting this event, nor are they responsible for awarding the prize. All participants must be 18 years of age older. Open to US residents only! Winners will receive an email from lifeofasouthernmom@gmail.com and will have 24 hours to respond or another winner will be chosen. The Sponsor will be responsible for awarding prizes and shipment. Void where prohibited by law. Limit one entry per household. The odds of winning are based on the amount of entries received and completed correctly. Good Luck and thanks for entering. My kids love Inside Out and were so excited when I told them that the movie had been released on DVD. They've been clamoring to watch it again for months, so it's easy to say the level of joy of our home about this release has been high! We talk about emotions a lot, so I've loved having this movie to help open up that conversation with the kids. We were excited to stop by Walmart and pick up a copy of the DVD, and some fun new toys from TOMY to help celebrate the film's release! 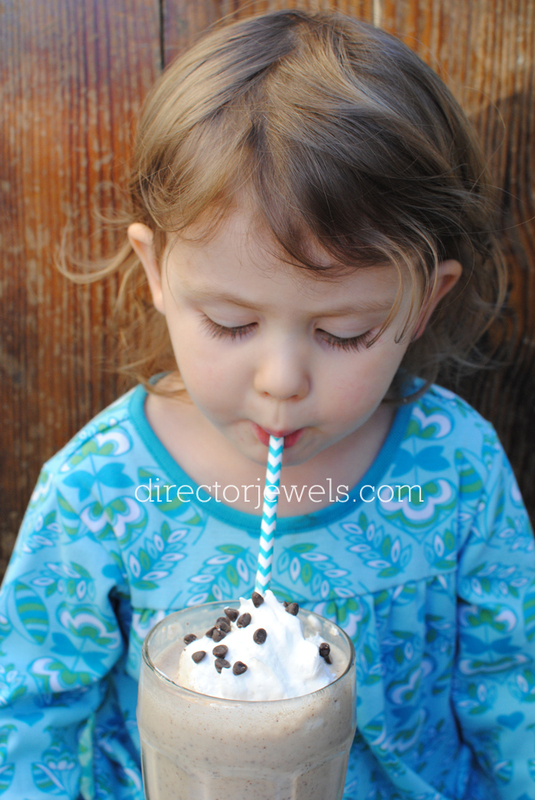 If you have a preschooler, you probably know that once they decide they like something, they develop small obsessions over certain characters and stories! 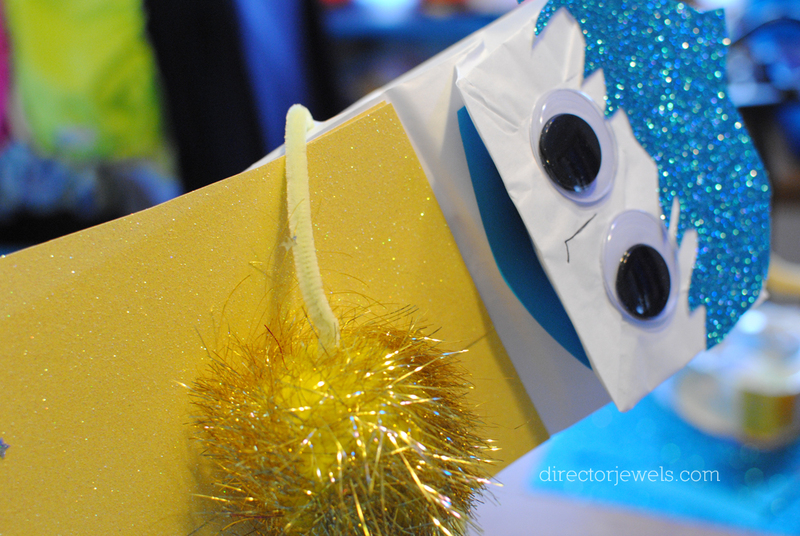 My kids love being involved in craft projects, so we took the opportunity to put together an easy paper bag Joy puppet with supplies that we mostly already had in our craft stash. 1. 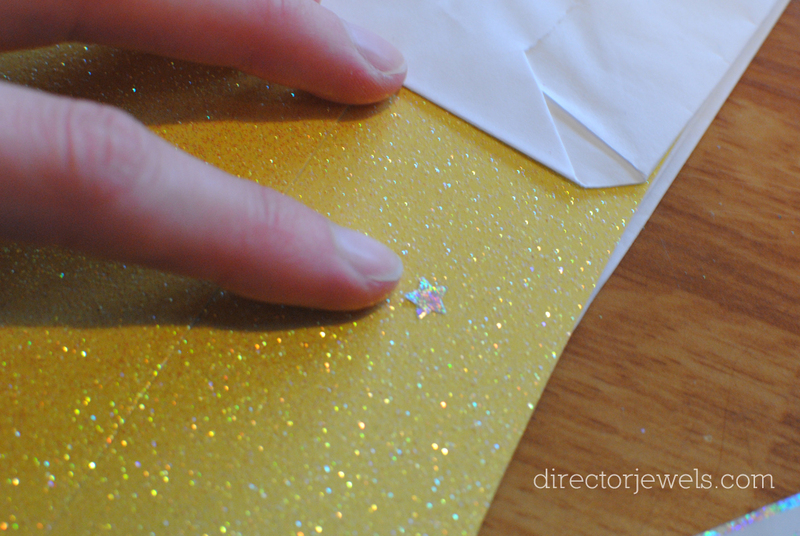 Cut a piece of yellow sparkly paper into an 8.5"x7.75" rectangle. On the back, make a pencil mark just over 1.5" from each edge, at the top. 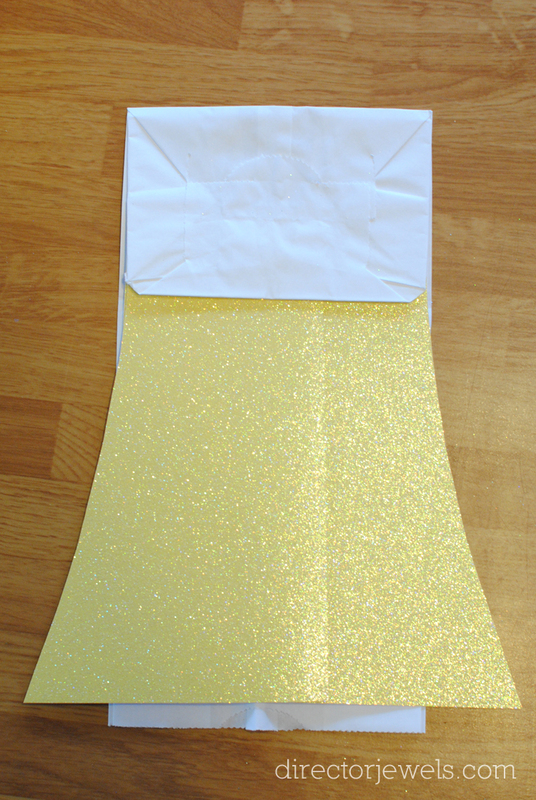 Trim each side from the marks to the bottom at an angle, creating the curve of Joy's dress. Attach dress just under the bag fold. 2. 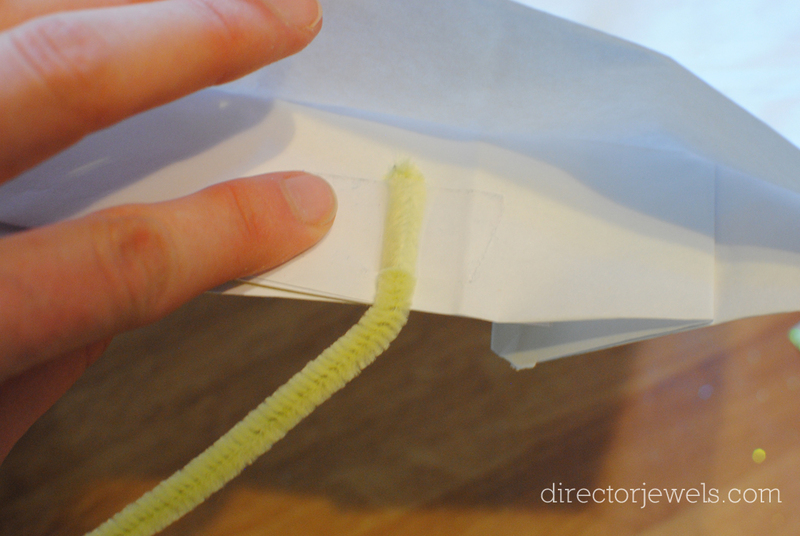 Cut Pipe Cleaner in half. 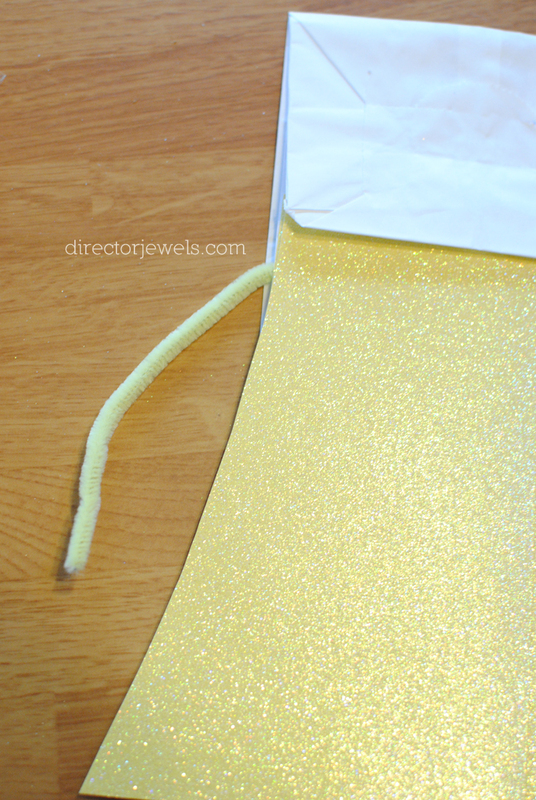 Use tape to attach one arm on each side of the bag. Make sure you tape inside the crease and not on the back of the bag. 3. Decorate the dress with starbursts or star stickers, if desired. 4. Add a yellow "memory" sphere. 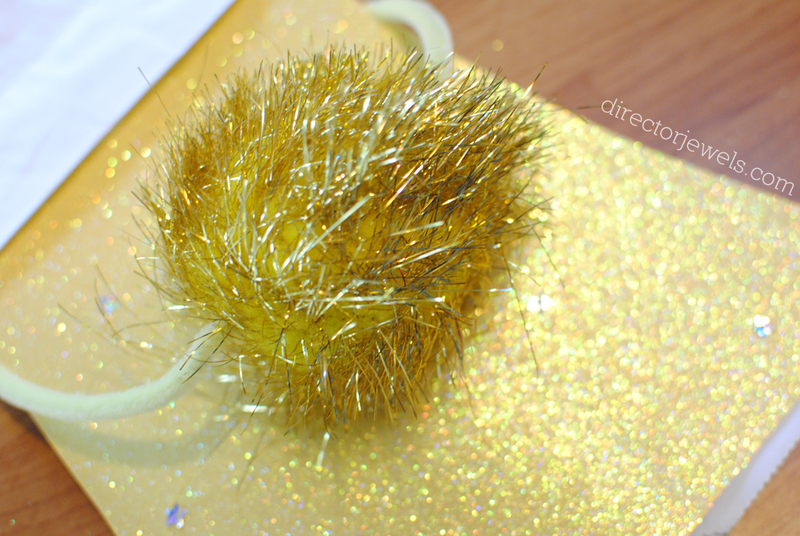 For mine, I found the biggest, most glittery pom-pom I had and stuck the pipe cleaner arms into it to hold it in place. 5. Okay, this part is tricky but bear with me! If I can freehand cut hair, so can you! Cut a 5.75"x5" rectangle. On one of the 5.75" sides, cut multiple jagged edges (Joy's hair over her forehead). Round off the top, but make sure to include a pointy spike of hair on one side! Attach to the bag with your adhesive. 6. 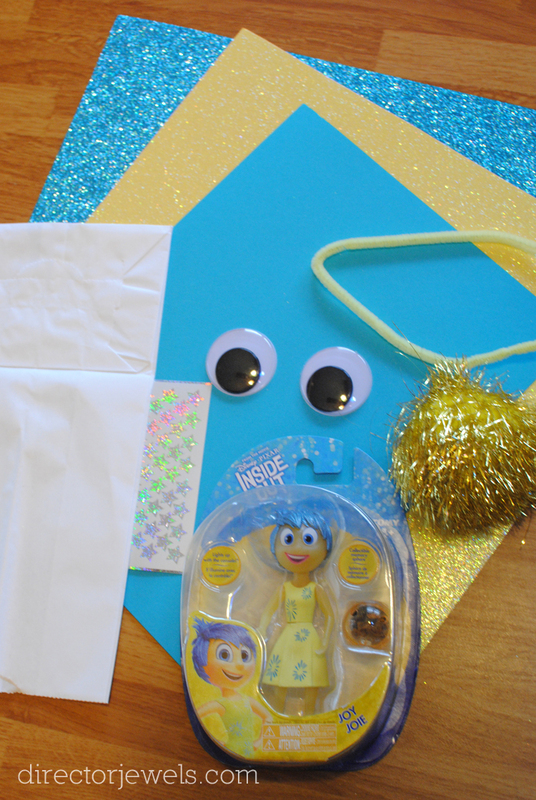 Attach giant eyes with adhesive. 7. Cut a 4 1/2"x1 1/2" rectangle from the plain blue paper. 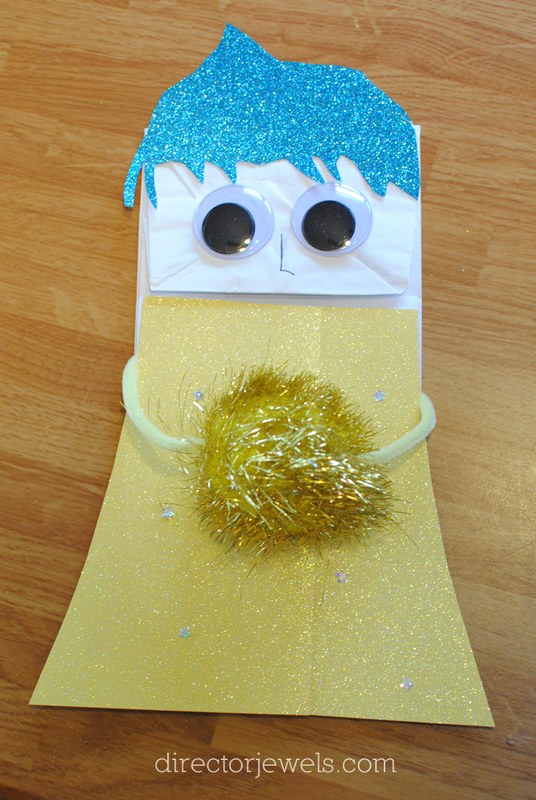 Round off one side in the shape of a mouth and attach under the paper bag flap with adhesive. And there you have it! 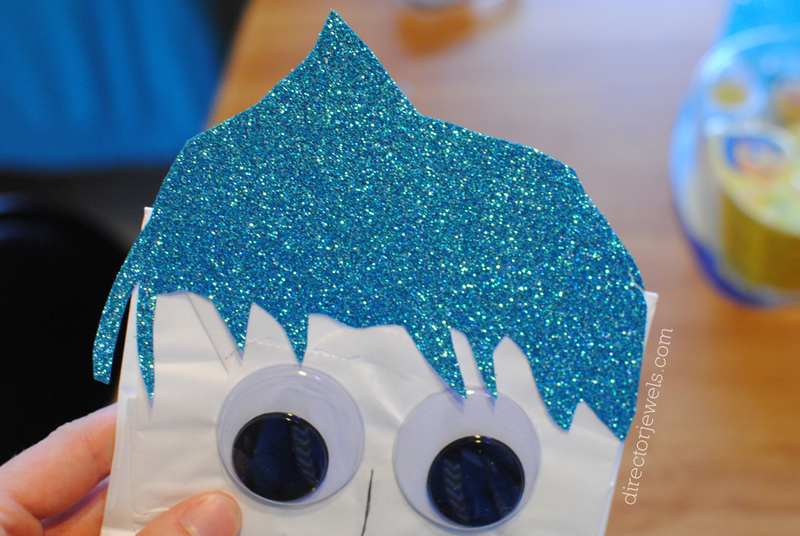 These would be cute for a birthday party - let kids make a puppet of the character whose emotion they feel the most. 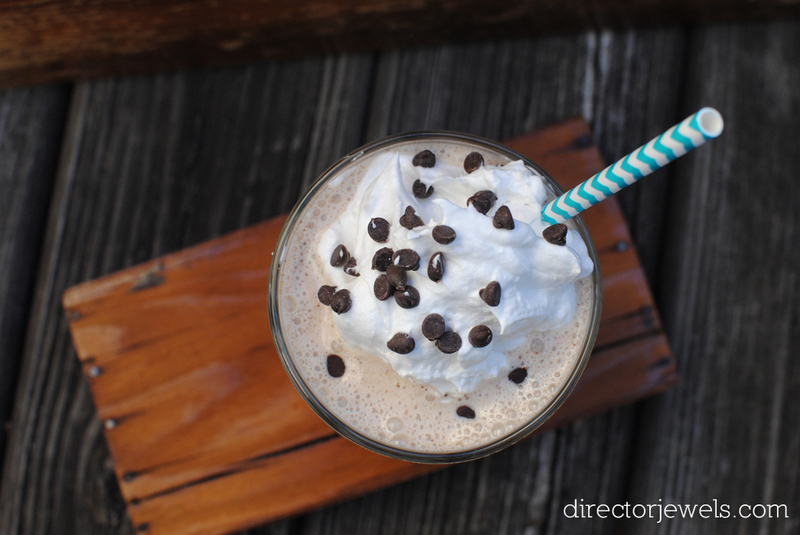 Hopefully at a party, you would have a lot of kids wanting to make Joy! 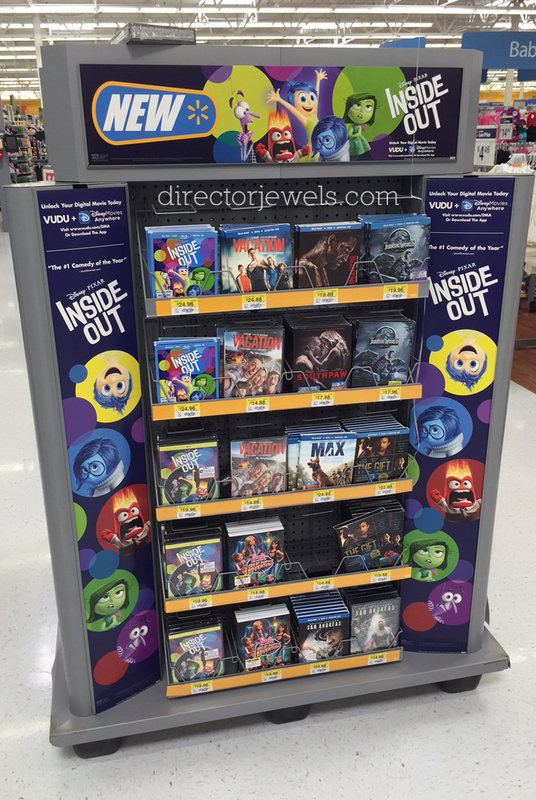 You can grab your own copy of Inside Out at Walmart. Have you seen the movie yet? How do you talk with your kids about their emotions? Around here, we never say no to a good book, I have to admit, though, that when I'm feeling especially tired, I am not a fan of the storybooks that have more words than they have pictures. Don't get me wrong - I love reading with my kids and I'll read them any book they bring me from our collection - but if I'm already in danger of falling asleep on the couch, I need a book with an upbeat pace to keep me engaged! 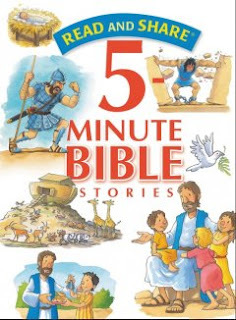 Read and Share: 5 Minute Bible Stories is one of our newest titles, and it is perfect for bedtimes when we're all feeling sleepy. This is a collection of stories retold by Gwen Ellis and illustrated by Steve Smallman, from the publisher Tommy Nelson. The book is split by Old Testament stories and New Testament stories. Each story is just two pages long, making it perfect for bedtime (each kiddo can pick one or two stories) or for a reading marathon (the stories are short enough that I don't mind reading half the book in one sitting)! The highlights of the Old Testament stories include Creation, Noah's ark, Abraham, Moses, Ruth, David, Esther, and Jonah. The New Testament features stories of Jesus' birth, John the Baptist, Jesus' parables and miracles, His death and resurrection, the early church, and a picture of Heaven, via Revelation. Each story includes the Bible reference for the text the tales are from, as well as a comprehension question to engage kids in the story. The illustrations are engaging and often prompt my kids to ask further questions about what is going on in the story. This one is already well-loved in our collection and I'm sure we will read it cover to cover many, many times! Disclosure: This post is for my participation in the "Upgrade with Intel" Program. All opinions are my own. Do you need a laptop upgrade? There's a deal on the Dell Inspiron Black 15.6 Laptop at Walmart - and it's more affordable than you might think. 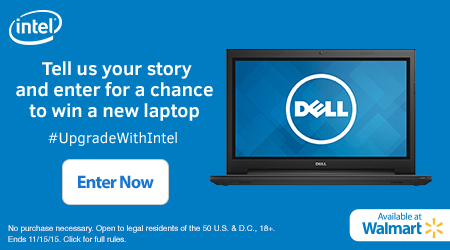 Head to #UpgradewithIntel to enter a contest to win a laptop of your own. Click the photo above and you'll head to the contest entry (note that comments on this post don't count). Once you're there, select the contest tab, then (in 400 characters or less), share how this laptop would make your life more amazing. One entry per email, per person, complete Terms & Conditions are found on the site. What would you do with a new laptop? Disclosure: Thanks to DCKids and Warner Bros' for sponsoring this post. Keep reading for a $100 Amazon Gift Card Giveaway! Everyone loves Batman, right? He's a classic character and has always been a favorite around our house. If you have a fan of the caped crusader in your house, you may want to bookmark the DC Kids YouTube channel to keep in the loop of all the latest Batman Unlimited episodes! The series features Batman and his crime fighting squad battling it out against the cyber robotic animals to keep Gotham City safe. The YouTube channel makes it easy for our kids to watch their favorite DC characters, on-demand, and from any device. 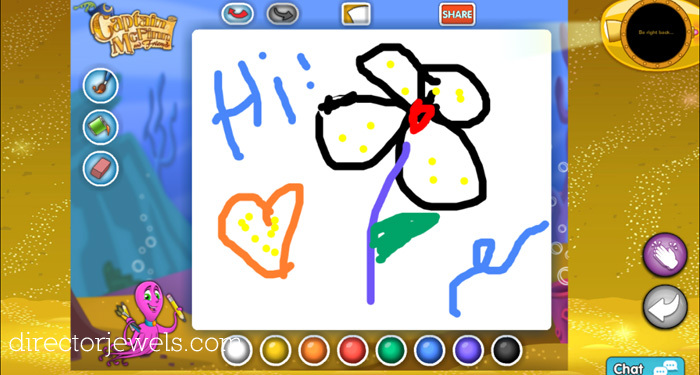 For even more fun, there is an extended online experience on the website where kids can play games, download free printable activities, read comic books, and more. One person will win a $100 Amazon Gift Card from DC Kids and Batman Unlimited. This giveaway is open to US readers only. Winner will be emailed and will have 48 hours to respond or prize will be forfeited. 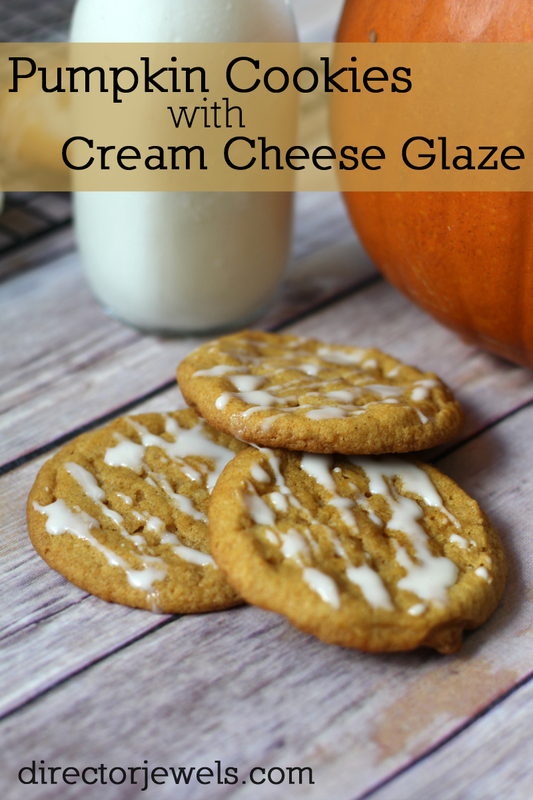 With fall well underway, there has been no lack of pumpkin recipes floating around the blog world! There's always room for one more, though, right? Especially when they're completely delicious? 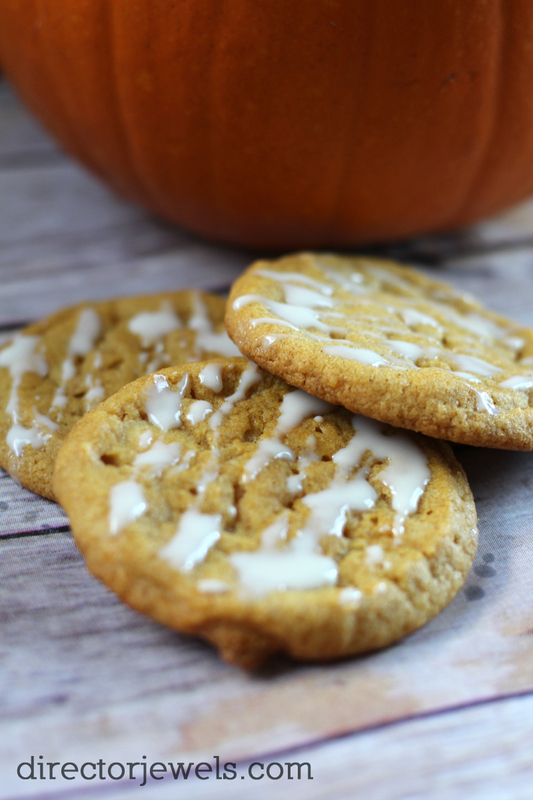 These Pumpkin Cookies with Cream Cheese Glaze might just deserve to be right up there with all the classics like pumpkin pie and pumpkin bread. Maybe. Heat oven to 350 degrees and line baking sheet with parchment paper. 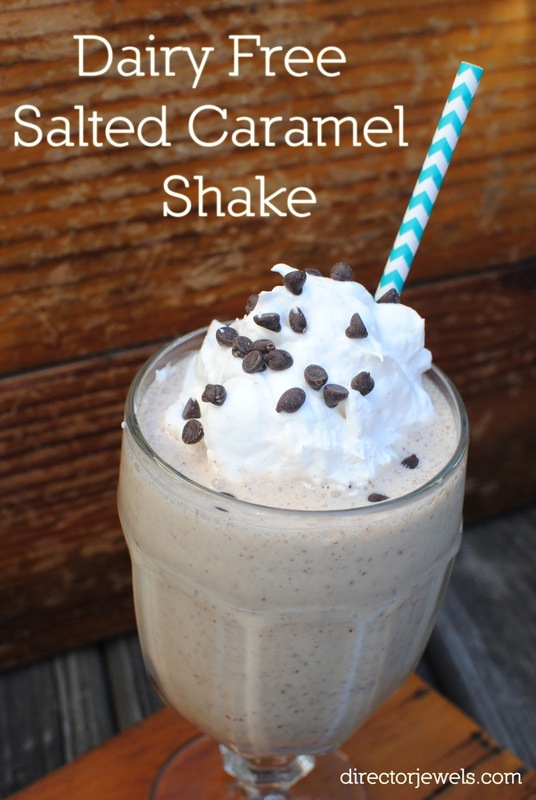 In a bowl, combine flour, baking soda, baking powder, cinnamon, nutmeg and salt. In a separate bowl, beat together the butter and sugar and add in pumpkin, vanilla, and egg and blend until smooth. 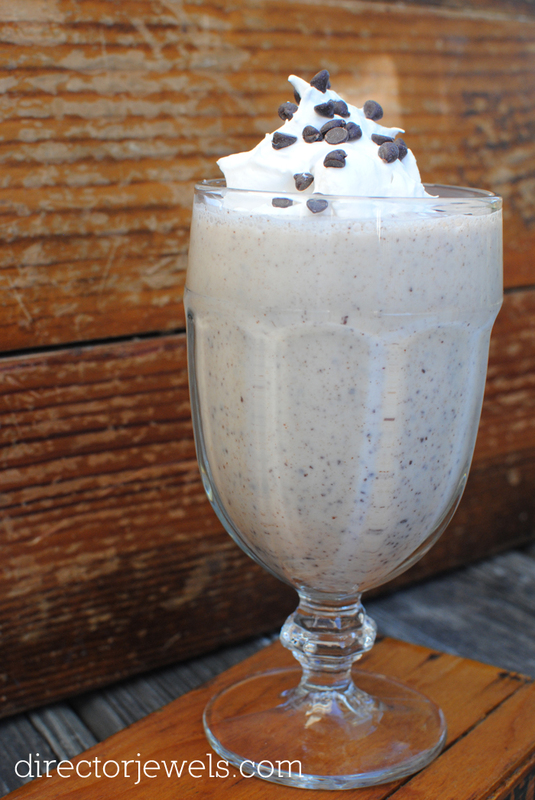 Gradually combine the dry mix to the liquid mixture. Drop by rounded tablespoon onto sheet and bake for 18 minutes. Combine powdered sugar, cream cheese, lemon juice, vanilla extract and salt until creamy. 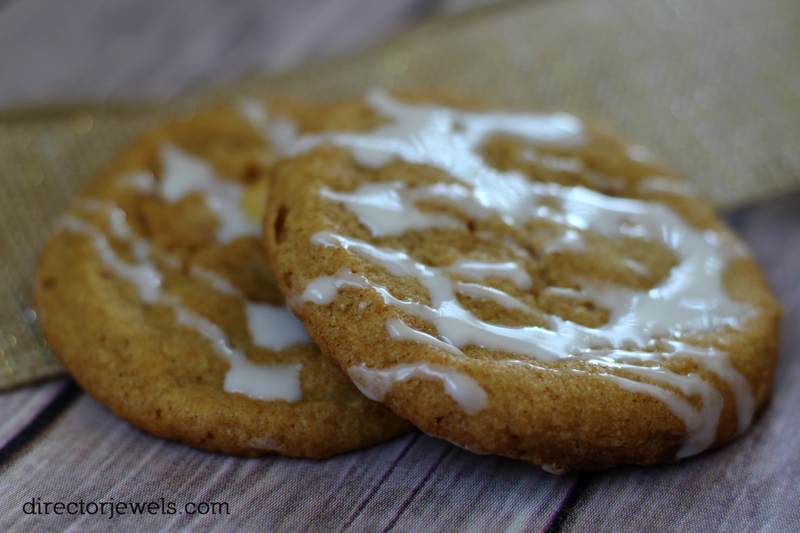 Sip a spoon into the glaze and lightly drizzle over cooled cookies. I'm not going to lie.... 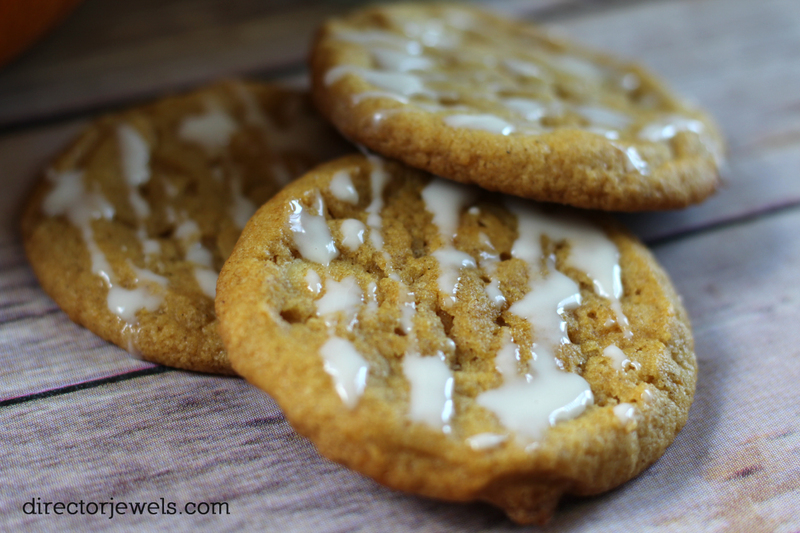 I want to have these pumpkin cookies with cream cheese glaze hot and ready from my oven continually. 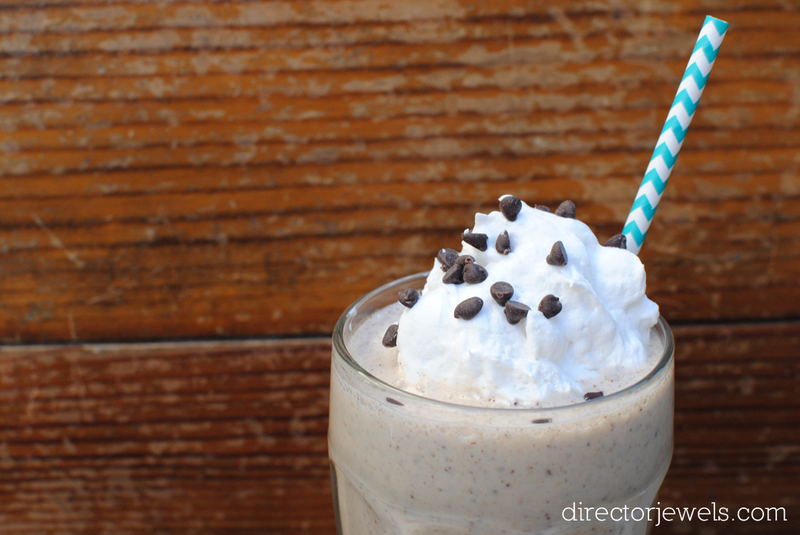 What's your favorite pumpkin recipe? Disclosure: I received a review copy of each book. No other compensation was received and all views expressed are my own. I used to work in a library, and I was always mesmerized by new children's books when they came in. It was a joy to find new stories to read and recommend to families with kids. I found a few of my favorite children's authors that way, and I was reluctant to give up that insider's access to new books when I quit my job to stay home full time. Thankfully, I have found many opportunities to review new books to hit the children's publishing market and that has been so much fun! The latest titles I want to share with you are new from Peter Pauper Press for the fall. 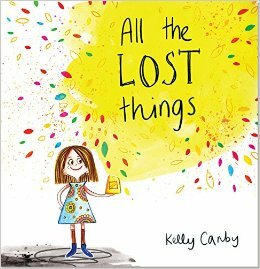 All the Lost Things by Kelly Canby (this is her picture book debut) was released in August and is aimed at ages 4-8. This very unique tale has a fresh illustrative style, with the text working often as part of the image. It's about a little girl named Olive who is the only spark of color left in a drab city where the rest of the inhabitants have lost their sense of meaning and most importantly: their hope. Olive hears a mysterious noise and finds herself in an underground world, where she sifts through all the lost things and takes them out with her to make her world a better place. When I saw the title, I envisioned a book about actual things that people lost and never returned to retrieve (like shoes, toys, or umbrellas), but the twist of having the things be more meaningful - memory, eyesight, hope and more - made this story one that I am anxious to read over again with my kids. My kids are 4 and 2 and they thought this was a very fun read. 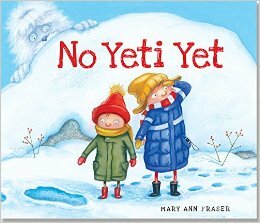 No Yeti Yet by Mary Ann Fraser (author of over 60 critically acclaimed children's books) is also aimed at ages 4-8 and was released in September. This book is stinking adorable. My kids are obsessed with snow creatures (thanks to a certain classic Christmas film) and they giggled their way through multiple readings of this story about two brothers who set out on a mission to find a Yeti. Their adventures cover a lot of ground, plenty of sledding and skating, and even a spooky cave exploration. The two boys aren't aware that the very Yeti they seek helps them along their way. The relationship between the brothers is definitely the sweetest part of this story - it reminds me of listening to my son try to explain things that he doesn't completely understand to his little sister. Whether or not this big brother knows everything there is to know about a Yeti is irrelevant - he knows he wants to find one and that's good enough for the little brother, too. There's no way I will be able to put this story away with holiday books - the kids ask to read it all the time. Both titles have been big hits around here and I can't wait to see what comes up next from Peter Pauper Press! Thanks to Peter Pauper Press for my review copies. I received no other compensation and all views expressed are my own. For more information, you can read my Disclosure Policy.